The Guernsey to Saint Malo to ferry route connects St Peter Port, the capital of Guernsey in the Channel Islands to Saint Malo, a port city in Brittany in northwest France. 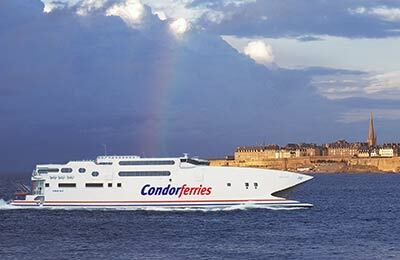 The ferry route is operated by Condor Ferries. There are up to 7 crossings per week and the crossing time is approximately 1 hour and 55 minutes. This route accepts foot passengers and vehicles. 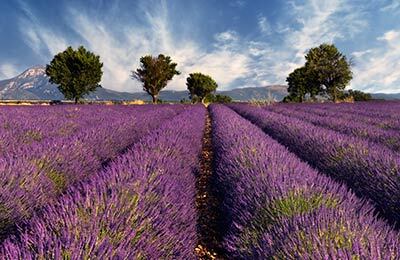 Visit to France - highly recommended! The ferry departed on time, the voyage was smooth and everything ran efficiently. A very good alternative to flying as we visited Jersey en route. The only difficulties we had were on the docks - finding the hire car drop off point in Guernsey and the lack of a taxi in St. Malo. Otherwise highly recommended! An easy accessable service between two of my favourite ports.... Check in is excellent at either ends and makes getting on with various journeys hassle free. An excellent service with comfortable travel back and forth across the Channel. Good voyage. We liked the ferry in comparison to flying. The trip itself may be longer but the craft leaves and arrives near the centre of town, so you don't waste time travelling to airports waiting for delayed flights. The journey was great. The boat was clean and the sea was calm. No problems checking in and the staff were very friendly and helpful.